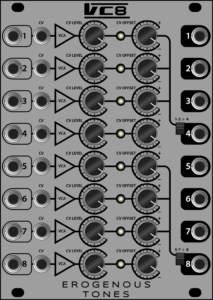 VC8 is a high density DC Coupled VCA module designed to give you a large number of VCAs with CV level and OFFSET control, along with optional VCA controlled dual sub-mix capability. While we are putting together videos to demonstrate all the functionality, design, and use of VC8, here are the features of the module. Each channel has a CV LEVEL attenuator, full VCA can be open at +5V. Each channel has a CV OFFSET control that can add positive or negative amounts to the CV LEVEL value. When no CV LEVEL is applied, CV OFFSET is used to open the VCA. 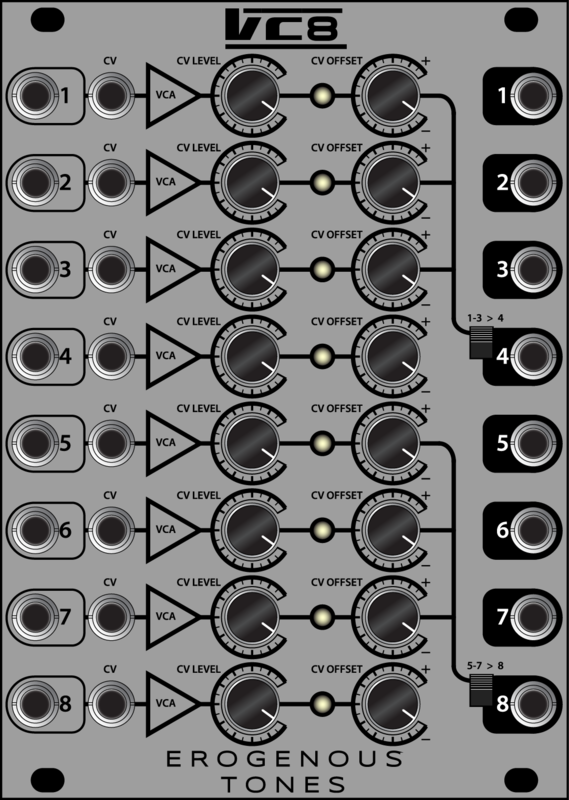 VC8 is currently available now, check with your favorite eurorack dealer!